Refugees are “brutes” and “filth”: this was the language used by Lutz Bachmann in September 2014 in a Facebook post about a refugee camp. He also added that such “trash” are not in need of help and that there are “no actual war refugees”. His comments went viral at the beginning of last year and were widely shared on social media. Before Bachmann could delete the offensive material, numerous users took screenshots of the posts, which now form some of the prosecution’s main evidence. Public prosecutor Lorenz Haase is expected to argue that Bachmann is in breach of paragraph 130 of the criminal code and that he is guilty of sedition and disturbing the public peace with his Facebook posts. Haase will also attempt to demonstrate that Bachmann incited hatred and abused the human dignity of refugees. Bachmann’s Facebook comments came just a few weeks before he launched the movement. This fact was enough for Dresden’s regional court to eventually rule that he would be tried as a “private citizen” rather than as an individual with the nationwide-reach he currently enjoys. The charges brought against him carry a maximum sentence of two years. The 43-years-old’s misadventures on social media, however, are only the tip of an iceberg of verbal gaffes. During a PEGIDA event in early November 2015, he said that Justice Minister Heiko Maas represented “the Sharia Partei Deutschlands” instead of the Socialist Party (SPD), as well as calling him “the worst intellectual arsonist since Goebbels”. Bachmann already enjoys a certain amount of infamy in law enforcement circles. In the 1990s, he found himself in trouble with the police, involved in a number of drugs, assault and theft cases. In 1998, when told he would have to serve four years in prison for burglary, he fled. For two years he lived under a false identity in South Africa, until the authorities there finally realised who they were dealing with and promptly sent him back to Germany. 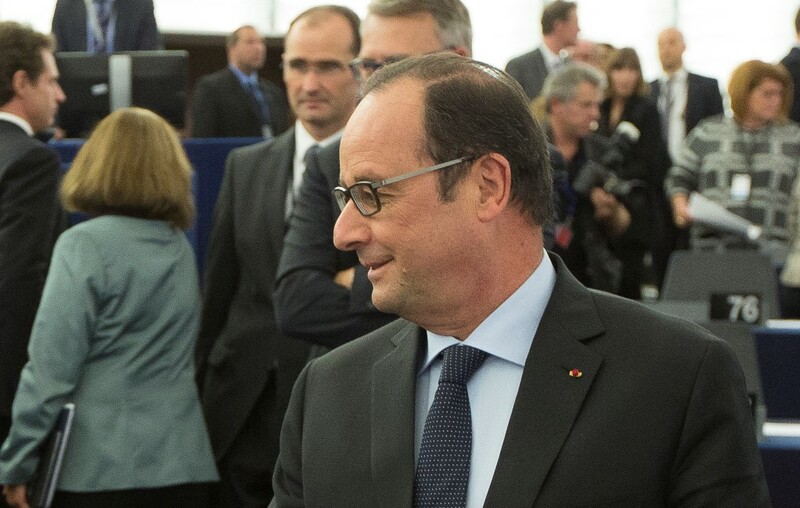 Upon arriving back in Europe, he served 14 months of his sentence and was subsequently released on probation. He has not shied away from talking about his criminal career, sharing, again on Facebook, that “at least I integrated” while in South Africa. The police officers that eventually tracked him down and deported him might disagree with that statement, given that his stay in their country was only possible because Bachmann fraudulently obtained a residence permit and visa. He has also found himself on the wrong side of the law when found guilty of cocaine possession and reneging on maintenance payments he was meant to pay to his son. Despite his criminal past and the fact that he stepped down from his PEGIDA leadership position in 2015 when further Facebook posts emerged of him posing as Adolf Hitler, Bachmann remains the face of the movement. European Union Germany (EUD), a citizens’ movement that advocates deeper European integration, has accused PEGIDA of damaging Dresden’s image as a “cosmopolitan and tolerant city”. Speaking to euractiv.de, EUD’s secretary general, Christian Moos, warned that there could be negative consequences, especially for the tourism industry. 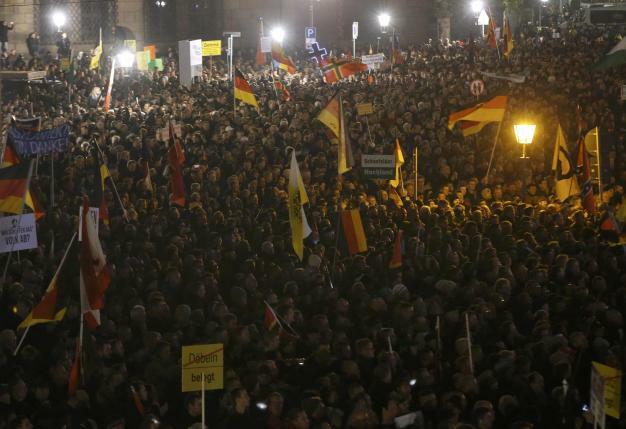 Hotel owners have already started seeing fewer bookings because of the “PEGIDA effect”. People who come from an ethnic background or who entered the country as migrants themselves are also at risk, as the city becomes somewhat of a “no-go area” when PEGIDA marches are organised. 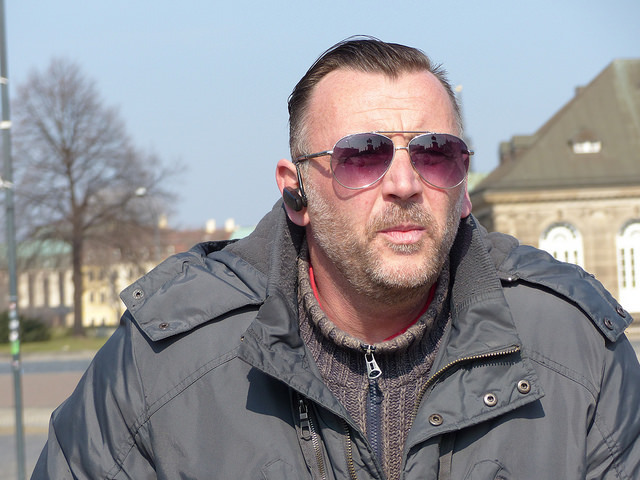 “The majority of Dresden’s inhabitants wants nothing to do with PEGIDA,” Moos argued. He also urged Saxony’s lawmakers to take a stance against xenophobia. When asked whether he thought Bachmann should be found guilty, Moos diplomatically replied that he has “total faith in our legal system”. In front of the courtroom, sympathisers and demonstrators both gathered, one group with signs saying “Merkel in court”, the other with “Go to jail, Bachmann”. The trial is expected to last three days and a judgement is expected no earlier than 10 May.